Following on from last week’s post about the foods I’m missing from Oz, it wouldn’t be fair if I didn’t also share a little about some of the amazing foods in Austria that can’t readily be found in Oz. Food plays a very important role in my life. Not only do I need it to stay alive, but I love to eat it, I love to cook it and I love to read menus! After a few months living in Austria (remember, small town) I found that most things I knew existed in some way, shape or form… it was just a matter of translating and hunting. 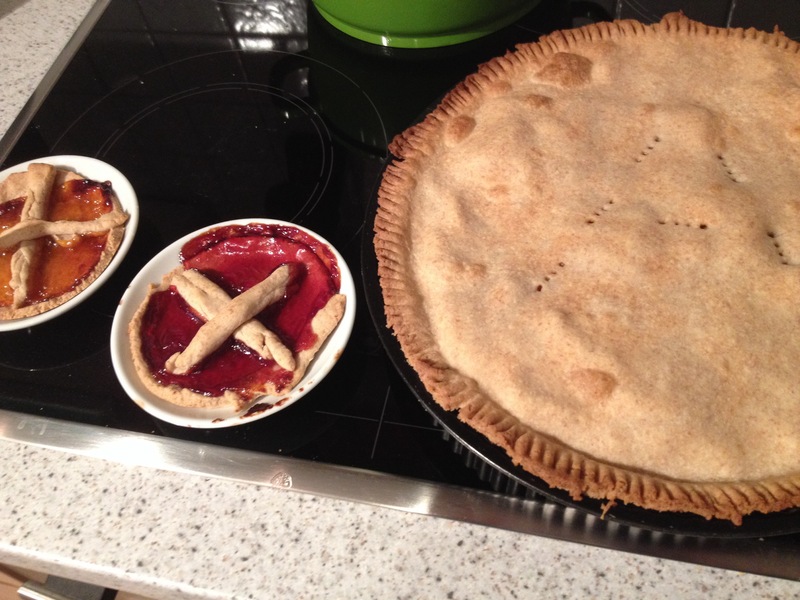 First pie attempt in a tart dish… unacceptable. I know what you’re thinking. It’s happened before: you check into a ‘double room’ in a hotel only to find out that they’ve simply shoved two singles together, there’s an annoying gap in the middle and the beds gradually move apart throughout the night. But seriously, when it’s done properly, there are benefits you wouldn’t even think of. I love Ireland and I’ve been there twice but I’ve never quite managed to get to Scotland. Luckily, Thomas is a big fan of Scotland so for our main trip in 2014 we spent 2.5 weeks in the UK. I was very much looking forward to all the ‘normal’ food I would be able to find there as well as exploring old country towns and castles.